Voucher good for Aprilaire Model 600 Whole House Humidifier. Includes automatic control humidistat. Valid for customers in a 50 mile radius of Sal’s North Royalton location. During normal business hours. All Aprilaire parts carry a 5-year parts warranty and one-year labor warranty. 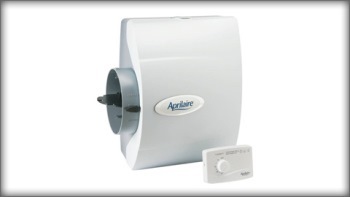 Aprilaire products must be installed during normal business hours and application must accommodate product. Sal’s Heating and Cooling reserves the right to determine if application is accommodating to install. Any additional parts, labor or costs incurred will be discussed and agreed upon prior to installation. Thermostat temperature display is optional cost. Sal’s Heating and Cooling will come to determine size of equipment needed. This warranty is transferrable. All permits if needed are additional, no exceptions. Tax not included. Not valid with any other offers. voucher has no cash value. All Aprilaire parts carry a 5-year parts warranty and one-year labor warranty. Thermostat temperature display is optional cost.